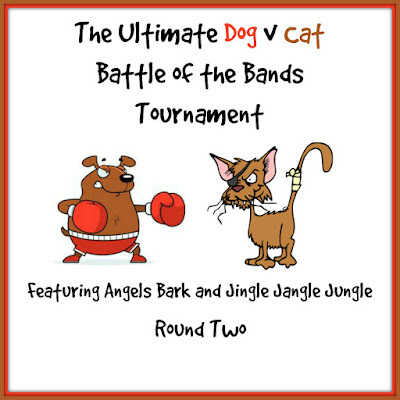 My good friend Michele from Angels Bark and I are collaborating on a small battle tournament. On July 15, we had our Round One battles, and today, we are having our Round Two battles. Alright - I’ll make this next part quick because I know you’ll want to get on to the other battles taking place today. "Cat's in the Cradle" is a 1974 folk rock song by Harry Chapin. The song's lyrics began as a poem written by Harry's wife, Sandra "Sandy" Gaston; the poem itself was inspired by the awkward relationship between her first husband, James Cashmore, and his father, John, a politician who served as Brooklyn borough president. She was also inspired by a country music song she had heard on the radio. Chapin also said the song was about his own relationship with his son, Josh, admitting, "Frankly, this song scares me to death." The single topped the Billboard Hot 100 in December 1974. As Chapin's only No. 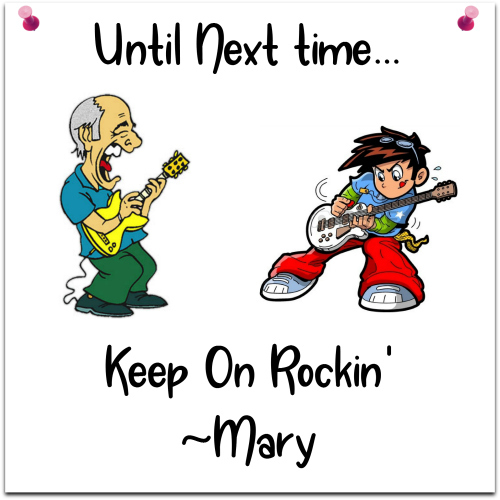 1 hit song, it became the best known of his work and a staple for folk rock music. Chapin's recording of the song was nominated for the 1975 Grammy Award for Best Male Pop Vocal Performance and was inducted into the Grammy Hall of Fame in 2011. Typically, I don’t like to use the original artist in these battles, but I think the other contender is strong enough to hold their own for a decent battle. In other words, I’m crossing my fingers and praying this doesn’t become a blowout or a shutout. I’ll keep the voting open until Saturday, August 11 @ 3pm EST with results posted on Monday, August 13. For those of you who may be interested - The battles take place twice a month. Once on the 1st, and again on the 15th. Some participants have chosen to participate only once a month - and that’s okay - we’re just happy to have you join us! Your battle can consist of covers of the same song, different songs with the same title, or even a themed type battle. We just want you to join in the fun! Catch the link to Stephen’s blog to join in the fun - all you need to do is drop him a comment on his blog and he’ll add you to the roster of participants. 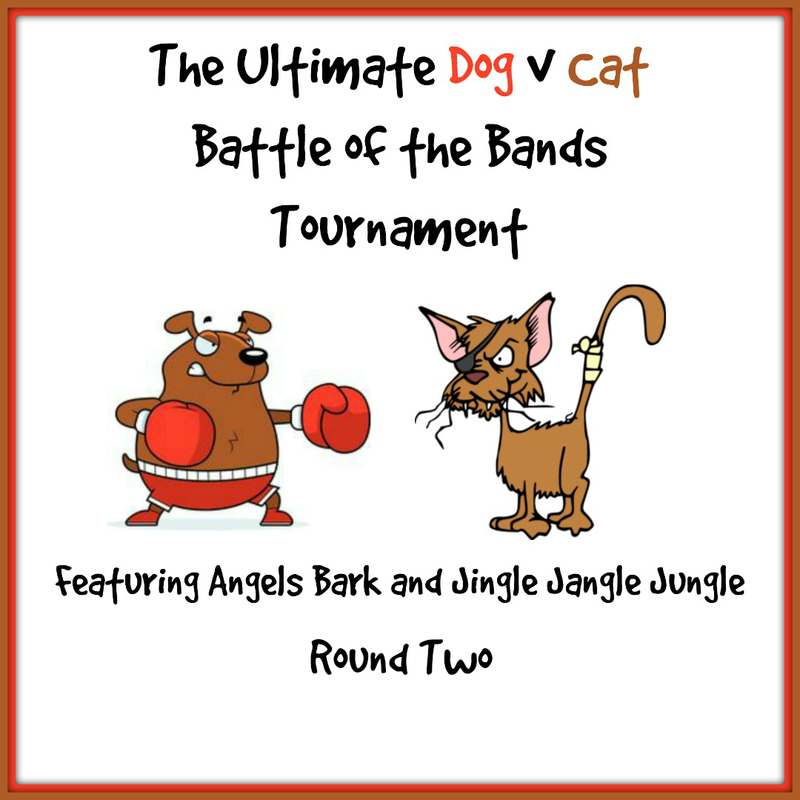 I’d like to encourage you to visit the other bloggers participating in the battle of the bands as well, but especially would like to encourage you to visit Michele’s battle in this tournament. We’ve put a lot of time and effort into putting together these battles and they are a lot of fun. Each blogger has a different battle taking place. You can find a current list on Stephen’s blog (don't forget you can also request to join the battle of the bands blog hop by simply commenting on his blog that you'd like to join us). Ugly Kid Joe offers up a noble attempt at covering the song, but Chapin's version has more heart and authenticity. The Chapin version almost always leaves a bit of a tear in my eyes while Joe's version didn't do that for me. A solid vote for Harry Chapin. Chapin does do a really great job. I think the difference in the song is that Chapin sings from a father's perspective and Ugly Kid Joe sings from a son's perspective. Wow, two very good versions. I really like how Ugly Kid added the instruments, without changing any of the pacing and vocals. Just beautiful. I will almost always prefer the original. But I'll give Ugly Joe my vote today. I think I may have left out part of background on the song. Ugly Kid Joe pretty much sings the song from the perspective of the son. Sure do appreciate you stopping by! This is such an incredible song. I never knew any of the background so thanks for including that. The lyrics are very jarring, no matter the artist. It's a chilling premise, mainly because so many fathers can see themselves in those lyrics and it's not a great place to be. Talk about reality hitting hard and knocking one back, this song certainly does it. I very much liked Ugly Kid Joe's version. The instrumentation is excellent and the fact that their cover charted so high speaks volumes on its merit. Although this didn't factor into my vote, I did like the video too. But is the Ugly Kid Joe version superior to Harry Chapin's? For some it very well may be and I wouldn't argue with that position at all. Ugly Kid Joe's version if fantastic...just not fantastic enough for me to bail on the original. Perhaps if the original wasn't so powerful in its emotional punch, it would be easier to move away from it and embrace the new version. But I'm feeling loyal to the simplicity of Harry Chapin's version. So my vote goes to Harry. I think these two are a good match-up. I wavered a bit in my decision and I think others will too. Will be interesting to see which way the scales tip on this one....and to see which version will go up against your Round One winner. Your sleep patters seems to be a lot like mine. Mine is mostly due to the heat. But I'm taking advantage of the cooler nights and mornings to really give the blog a push. A Girl needs income, right? I didn't know the background of this song either until I sat down to put the post together. One part that I left out, was the fact that In Chapin's version, the chorus changes from "when you coming home, dad?" to "when you coming home, son? ", as the child grows up, and the situation changes from a busy father neglecting his son to a busy son neglecting his father. In Ugly Kid Joe's version, all the choruses use the same words with a subtle change from "When you coming home? Son, I don't know when", to "When you coming home, son? I don't know when." I think there are two Ugly Kid Joe songs that I like, this being one of them. But there is only one Harry Chapin song that I know - and this is it, too. Can't wait to see the votes come pouring in. Seems the battle is taking a bit of a slow start. Hope it picks up soon. Loving the tournament. 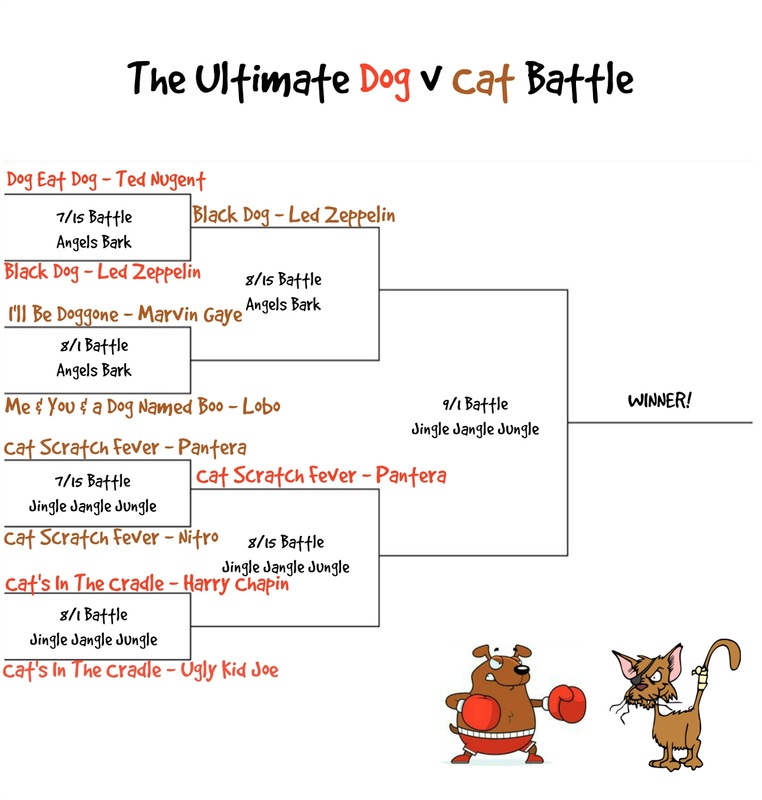 Curious as a Cat to see if the cats will beat out the dogs or vice versa. This is a great, powerful song and I doubt that anyone I knew at the time it was released disliked it. It's a cautionary tale loaded with pathos. And I don't think there's going to be much suspense in the outcome of this Battle, because I honestly can't think of a single reason to prefer the cover to the original. In fact, this is one of those songs where I can't quite understand another artist recording it at all. It's just TOO iconic and associated with the original performer. I can certainly understand why singers might perform this song live, in front of an audience, but I can't quite wrap my mind around the idea of recording it and releasing it on an album (unless it's a live album, maybe). Well Well Well... Look what the cat drug in! Aren't you full of optimism tonight. Personally, I like both versions. And as I've stated in a few comments above, I think it's all in the perspective. Chapin comes from the perspective of dad, and Ugly Kid Joe comes from the perspective of son. It just depends on how one relates personally to the song. I am holding out hope and optimism for my foreign friends to add a dose of curve ball to the battle. They are my secret(?) weapon. Heh. Heh. But Led Zepplin is NOT a contender in this round, nor even in this battle. They were in Round One battle. The request was for you to vote for THIS ROUND's battle. Hence, Either Harry Chapin or Ugly Kid Joe. Please come back and try your vote again. Thanks. Oops. Know neither. Anyway after listening to both. Guess I like Ugly Kid Joe better! Keep such battles coming! Hope I know your future bands better! Thank you for coming back :) I knew you had it in you. It really helps when you read the post, huh? 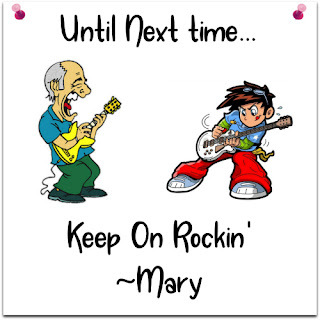 I love rock music and it's nice to listen to such songs that draw me back to the ages when rock music hit massively. Anyway, I vote for Harry Chapin, I've loved that song more. I've got your vote counted :) Thank you for stopping by! I actually really like Ugly Kid Joe's version. Harry Chapin's is good, but I think I just prefer UKJ's persective. And he has a great voice as well which really helps. I think it's just the tones he uses as well. I knew someone would be able to see the other perspective of the song. Thanks for saying that. Appreciate you stopping in. I love rock music, and I also like the way you've incorporated it with these opponents into a tournament. I don't think I can go wrong with stating that I'm cheering for Chapin with The Cats in the Cradle. The tournament is a lot of fun. I'm real anxious to see how it turns out. Can't wait for the day when the cats take on those silly dogs. I'm a cat lover, so Cat Scratch Fever reigns supreme for me. What a fun matchup for sure. I adore kitties so much!! hmmm Cat Scratch Fever was Round One. This is Round Two. The song is 'Cat's In The Cradle'. You should be voting for either Harry Chapin or Ugly Kid Joe. Ah ok! I read the chart wrong and didn't realize that there were still contenders at the lower level. I got so excited to see Cat's in the Cradle that I immediately voted for that familiar tune. I'll always head for the classics like Harry Chapin . Thank you for coming back and reading the post. I've got your vote noted. I love the original Cat's in the Cradle because I grew listening to that version. Iam not familiar to the Ugly Joe version. I tried listening to it because I like the Harry Chapin version better. So I vote for his version. Thanks for the vote! Sure do appreciate you taking the time to read and listen. I've got you down for Harry Chapin. Ok. As a Millennial (sorry lol), I've heard the original probably twice, and that was in movies. However, while I usually love original versions, I must say that the Ugly Kid version rocks my boat because of...I dunno...the rock-like instruments and their pitch? Those drew me instantly to the song. Also, the fact that it's a response as the son to the original. I love this version! Gonna YT them now. You will probably also really like their song 'Everything About you' It's got a great beat and fun lyrics. If you're into the video - it was done in one take. The Ugly Kid Joe version is my fave, but they are both good. I think it's because it's the one I'm most familiar with, this is the one that played on the radio when I was a kid. This song though...so much more relevant today with everyone having a face stuffed into an electronic! I never thought of the song in that regard, but you are right. That makes it so much more relevant. The battle is heating up, and it's going to be a close one. Can't wait to see how it turns out. Ahhh a song I know!! I definitely prefer the one by Harry Chapin, although I think my vote is likely biased by nostalgia. My mom used to listen to this song all the time in her car when my sister and I would ride with her. So this song is definitely a throwback to my childhood. Always appreciate you tossing in your two cents. The song does take me back to my childhood as well. Thanks for taking the time to cast your vote. This is not my favorite Harry Chapin song, but Ugly Kid Joe did a fine cover of it and didn't resort to strings in the process. Give my vote to Ugly Kid Joe. I think they did a pretty good job on the cover as well. Thanks for keeping them in the battle. The score is really pretty close. Hi Mary; I love this concept for a BOTB series! ☺ You're featuring one of my favourite songs, too. Ugly Kid Joe did a pretty good cover, but, in my opinion, the original is better. (I'm probably a little biased.) Harry gets the vote! I think a lot of the credit needs to go to Michele. It really was her brainchild. It has been a lot of fun, and I wouldn't mind doing another tournament style battle again in the future. Before I forget to tell you again - Happy Anniversary! Great idea! :) And thanks for the good wishes. I appreciated the reminder to vote in your August 1st BoTB because I thought I did already. Anywho, Ugly Kid Joe did a fine job covering Chapin's song but I can't give my vote to them. Harry Chapin is totally owns his song on an emotional level that always touches my heart. No worries on the little 'push' to come vote :) I know you're busy with the summer and trying to take it easy. I've got your vote recorded, and now we wait for the results. I was surprised myself by their version. I think I mentioned above in someone's comment that there' really only one or two of Ugly Kid Joe's songs that I actually like. But they are really holding their own in the battle, so I'm happy with that.